The Trial Skills for Tennessee Practitioners seminar is the leading legal event for Tennessee attorneys wanting to improve their skills to help achieve desired outcomes at trial or in mediation. This one-day event is packed with sessions by leading authorities delivering critical law practice guidance on the hottest topics and some of the most complex issues you’ll face. Steven G. Fuller is a Tennessee trial attorney who practices in areas of insurance defense, large loss claims, personal injury, civil commercial litigation, civil appellate work, criminal defense, business advisement, and complex civil litigation. Mr. Fuller is a member of the Tennessee Bar Association and is admitted to practice law in the State trial courts for Tennessee, the U.S. District Court for the Middle District of Tennessee, the U.S. District Court for the Western District of Tennessee, and the U.S. Sixth Circuit Court of Appeals. He has tried more than twenty-five bench and jury trials in over 10 counties in the State of Tennessee and argued appeals before the Tennessee Court of Appeals and the federal Sixth Circuit Court of Appeals in Cincinnati, Ohio. Mr. Fuller received his law degree from the University of Tulsa, in Tulsa, Oklahoma and his Bachelor of Science degree from Austin Peay State University. 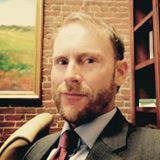 Mr. Fuller has been active in local and national politics, working on several political campaigns as a political coordinator and, most notably, serving as a congressional intern to former Representative Ed Bryant of the U.S. House of Representatives in Washington, DC. Mr. Fuller is a graduate of the National Institute for Trial Advocacy and the Insurance Institute of America. He is a local and national seminar speaker for National Business Institute. 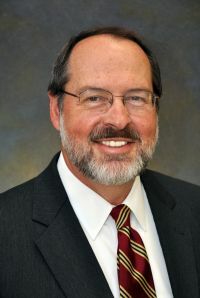 Barry Howard is a founding partner of Howard Tate Sowell Wilson Leathers & Johnson, PLLC, in Nashville and has more than 36 years' experience representing corporate and insurance clients in a wide range of civil litigation. Mr. Howard is a member of the Tennessee Association of Professional Mediators, the Tennessee Defense Lawyers Association (TDLA), and the Defense Research Institute (DRI). D. Scott Hurley is the principal shareholder in The Hurley Law Firm, P.C., in Knoxville. His practice focuses on civil litigation, including catastrophic personal injury, wrongful death, medical malpractice, commercial and probate litigation. Mr. Hurley has been a frequent speaker at legal and continuing education seminars on evidence, expert testimony, direct and cross examination techniques, witness preparation, jury selection and damages in personal injury and wrongful death cases. Beverly Nelms, like many members of Frantz, McConnell & Seymour, LLP, is a lifelong East Tennessean and a proud Volunteer. The best word to describe her practice is diverse. After receiving her J.D. from the University of Tennessee in 1993, she joined the firm, first as a law clerk and then as an attorney in 1997, before becoming a partner in 2002. Ms. Nelms also has served as managing partner for the firm. Throughout an extremely successful career, her communication skills have helped put her clients at ease while earning their trust and respect. An apt listener, her goal always is to provide a comfortable atmosphere for each and every one of them. Ms. Nelms' practice concentrates on general civil litigation including insurance defense, construction law, personal injury, conservatorships, and family law in addition to mediation. Currently, she is expanding the scope of her practice to include alternative dispute resolution of conflicts in the areas of construction and health care. A Rule 31 listed general civil mediator, she has appeared at each level of state court in Tennessee, as well as the U.S. Federal District Court for the Eastern District of Tennessee and the Tennessee Bureau of Workers Compensation. 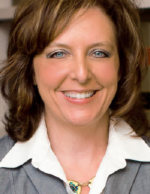 She is a member of several legal organizations, including the Knoxville and Tennessee Bar Associations, the Defense Research Institute and the Tennessee Association of Construction Counsel and has served as a hearing officer for the Civil Service Merit Board, as well as an Ombudsman for the Employer Support of the Guard and Reserve. In 2016, she was appointed to serve as a member of the Trial Court Vacancy Commission. Ms. Nelms enjoys spending her free time with her husband, a retired member of the military, and the couple’s two children. She also volunteers at her church, plays piano and is an ardent reader. Russell Reviere is a member of the firm Rainey, Kizer, Reviere & Bell, PLC with offices in Jackson, Memphis, Nashville and Chattanooga. He attended the University of Mississippi and the University of Memphis as an undergraduate and received his JD from the University of Memphis School of Law. He practices civil trial work and is admitted in Tennessee, Mississippi and Arkansas in all state and federal courts including the Court of Appeals for both the Fifth and Sixth Circuits. Mr. Reviere has been has been selected by his peers for inclusion in The Best Lawyers in America® in the specialty of Insurance Law. He is a Fellow in the American College of Trial Lawyers and has tried well over 100 jury trials in all three grand divisions of Tennessee both in state and federal courts and has handled appeals in each of the three divisions as well. He has also been selected for inclusion in Mid-South Super Lawyers for Civil Litigation Defense and also Super Lawyers Corporate Edition for Insurance Coverage. More recently, he was selected 2015 Lawyer of the Year in the Memphis area in Insurance Law by Best Lawyers and has been included in the Top 100 Attorneys in Tennessee by Super Lawyers for several years including 2018. In addition, he is also certified as a Civil Trial Specialist by the National Board of Trial Advocacy and is the leader of the Tort and Insurance Practice Group in his law firm. He has frequently been a presenter for CLE programs for attorneys in Tennessee most often concentrating on various aspects of trial practice. Russell Taber is a member of Riley Warnock & Jacobson, PLC in Nashville. He represents large publicly-traded companies, small and medium-sized businesses, and individuals in business disputes. His clients’ cases have involved information privacy and data theft, healthcare, intellectual property, business torts and unfair competition, shareholder disputes and business separations, and commercial and residential real estate. His book Electronic Discovery in Tennessee: Rules, Case Law and Distinctions has been used as a textbook at two Tennessee law schools. Russell holds a CIPP-US certification, a non-legal certification provided by the IAPP for information privacy professionals. The Nashville Business Journal recognized Russell in 2018 as one of Nashville’s Top 40 Under 40. He is AV Preeminent® rated by Martindale-Hubbell and has been named a Mid-South Rising Star by Super Lawyers since 2012. 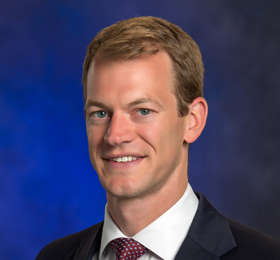 Prior to joining the firm, he served as a law clerk for the Honorable Gilbert S. Merritt Jr. of the U.S. Court of Appeals for the Sixth Circuit. Russell graduated Phi Beta Kappa from Georgetown University and received his law degree from Vanderbilt University Law School, where he was a member of the Vanderbilt Law Review, the Moot Court Board, and the Order of the Coif. When a case is headed to mediation, you have to arm yourself with the most effective negotiating tactics. Learn proven methods for achieving the best outcome for your client through mediation. Advanced uses of basic cross-exam tools: bias, opportunity to observe, inconsistency, etc. This session will focus on making sure you are prepared to face the jury when your client decides to go the distance. It is important that you strategically prepare for trial litigation. Here are three things you should keep in mind at the beginning of the case so that you are prepared if the case ultimately goes to trial. What is your theme? The story is what will most resonate with your jury, so you should identify witnesses, documents, and facts that will best tell your story at trial. Take depositions to use at trial. An adverse witness’ testimony in deposition is critical to establish facts needed for summary judgment and to prepare for cross-examination at trial. Depositions serve another critical function. As a matter of procedure, adverse party deposition testimony can be easily presented to the jury to support your theme of the case. Develop jury instructions early. At trial you will need to introduce evidence to support all your jury instructions, and your ability to do so does not start at trial. Preparing jury instructions should begin when you draft your complaint or your answer. By focusing on what your jury instructions will look like at the beginning you will be able to properly frame your pleadings and tailor your discovery to prepare your case for trial.